STRAFE (game, 2017). A first-person shooter video game by Devolver Digital/Strafe AB/Pixel Titans. Developed by Pixel Titans, Devolver Digital, Strafe AB. Official Trailer. 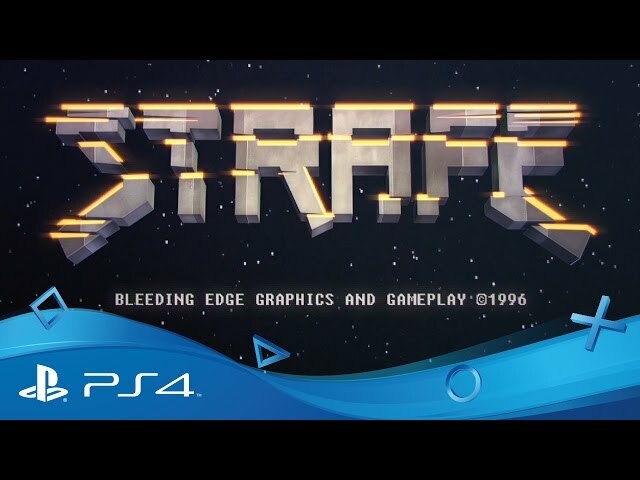 STRAFE is a first-person shooter video game by Devolver Digital, Pixel Titans and Strafe AB, developed by Devolver Digital, Pixel Titans and Strafe AB. 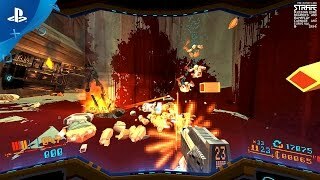 STRAFE - Uber Gore 2.0 Trailer | PS4. The unnamed player character is a "scrapper", a space explorer who collects materials to use as currency. An unknown party sends them on a scavenging mission to a ship known as Icarus on the far reaches of the known universe. However, once the player arrives on Icarus, they find that something on-board has gone awry, and must combat a deadly alien threat. 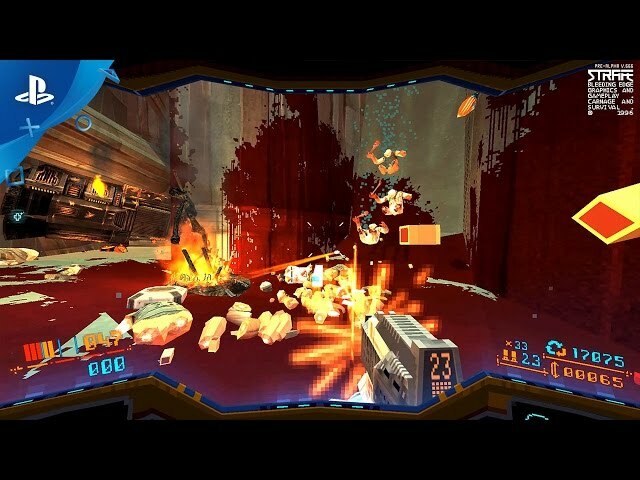 Strafe is a first-person shooter. Weapons at the player's disposal will include shotguns, machine guns and railguns. Merchants will appear, from whom the player can buy upgrades. The levels in the game are semi-procedurally generated. Upon loading in to each zone, the map is generated by pulling a set of rooms from a pool and arranging them randomly. The enemies, upgrades, and merchants among other assets are also randomized and placed within the zone. 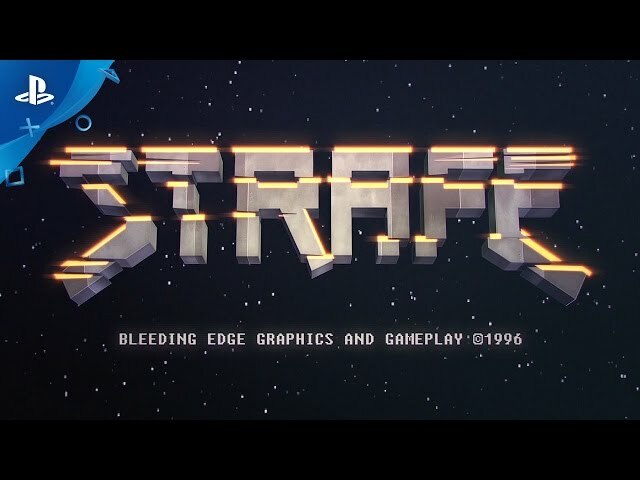 Strafe is notably virtual reality head-mounted display Oculus Rift enabled. The game will feature digital gravity and a dynamic blood splatter system. Each weapon has a primary and secondary fire method, with power-up items allowing the weapon to become much more powerful. STRAFE was scheduled to be released by Devolver Digital, Strafe AB and Pixel Titans on May 9, 2017 and on March 27, 2018. This video game is available for the following platforms: Microsoft Windows, OS X, PlayStation 4, Linux.